Balmain bicolor track jacket with golden buttons. Deep V neckline. Double-breasted front. Long sleeves; ribbed cuffs. Relaxed fit. Viscose/acetate. Imported. Brunello Cucinelli suede bomber jacket with monili trim. Ribbed collar, hem, and cuffs. Two-way zip front. Long sleeves. Side welt pockets. Regular fit. Lining, cupro. Made in Italy. Model's measurements: Height 5'11"/180cm, bust 32"/81cm, waist 25"/64cm, hips 36"/91cm, dress size US 2/4. 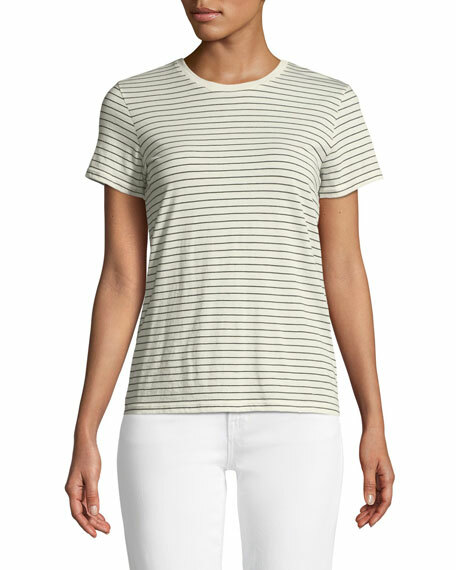 Eileen Fisher long silk georgette crepe shell, available in your choice of color. Bateau neckline. Sleeveless. Relaxed fit. 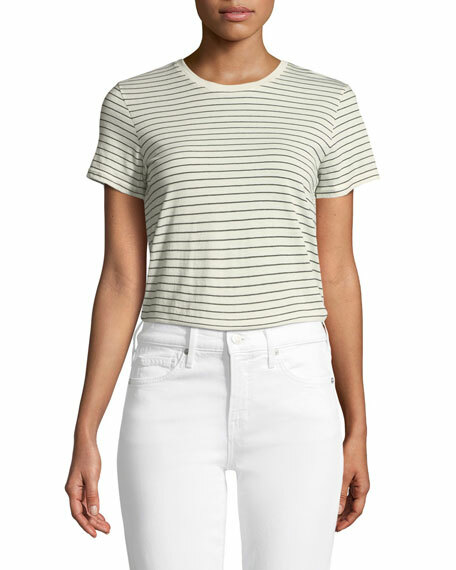 High-low hem; side slits. Slipover style. Machine washable. Imported. Miniclasix top with lace overlay and rosettes at chest. Crew neckline; button back. 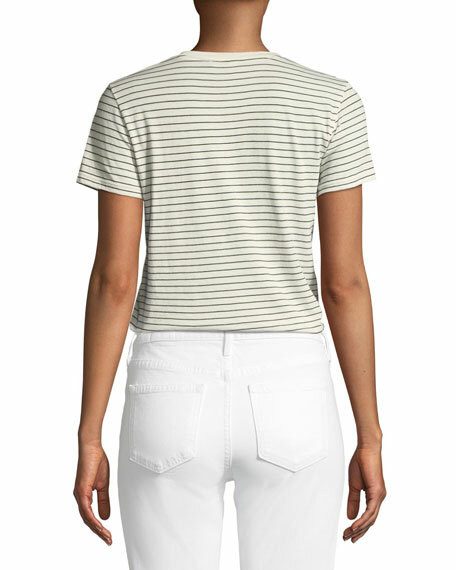 Wide straps provide moderate shoulder coverage. Includes matching solid leggings. Contrast tulle bows at ankles. Elasticized waistband. Top, netting, and lining: polyester. Leggings: cotton/spandex. Embroidery: cotton. Lace: nylon. Imported.